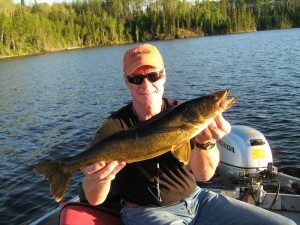 We saw several nice sized fish last week. Check them out! 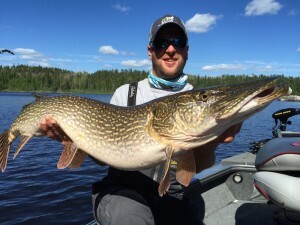 Tom caught a 34.5″ northern. 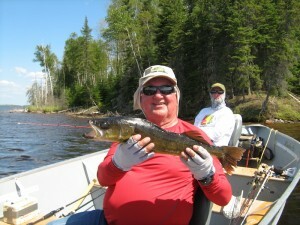 Skip released this 24.5″ walleye. 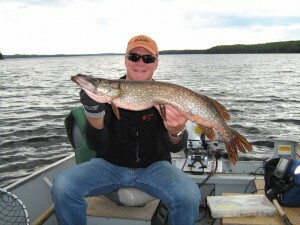 Bill caught several nice pike in the slot and over the slot like this 36″. 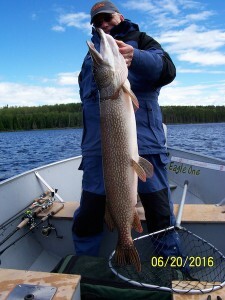 Dennis landed this 40″ northern pike. 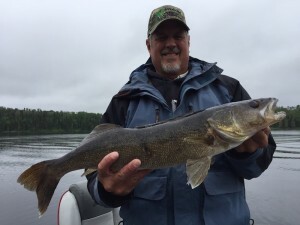 Don tracked down this beauty – 28-1/8″ walleye to briefly take over the season lead. 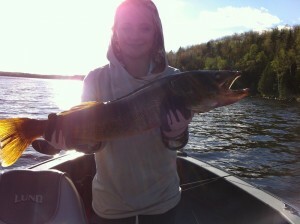 But Natalie edged him out with this 28-1/4″ walleye! 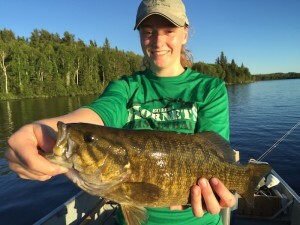 We saw several nice sized smallmouths last week too including 3 over 19″! Thanks for sharing pictures everyone! We made it out fishing a little bit last week. 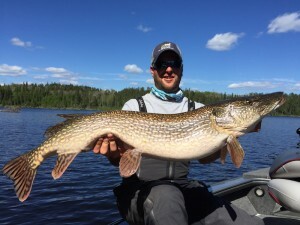 From what we observed and heard here are some updates on the fishing. 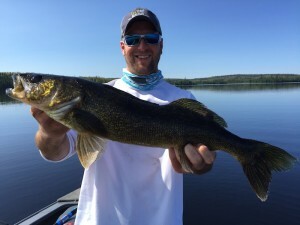 Most walleye are still being taken in 5-15′ of water on lindy rigs, jigs, and similar setups. 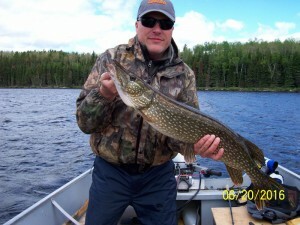 Several nice sized pike were hitting very shallow on a variety of spoons and crank baits. 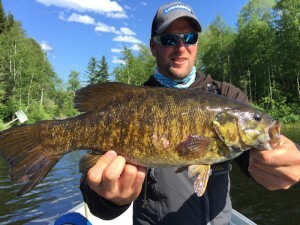 Smallmouth are still being caught on the rock reefs on Parker. No rock bass sightings so far this season so we may have to make a rock bass run. Weed growth is accelerating rapidly with the few sunny days we had. We are excited to see what a new week will bring! 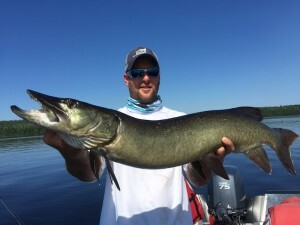 Is the Muskie from Flat lake? On the drive to Red Lake, about halfway up the Red Lake road, I saw what I believe to be a mountain lion on a sprint across the road a couple of hundred yards in front of our vehicle. Being from the desert southwest in Arizona, I have seen mountain lions on several occasions while hunting. I would estimate the size to be 60 lbs, did not look like a full grown cat. The body color was cinamon/blond, short hair, a long tail, smaller than canine head with a short snout, short ears. The animal was on a full spring across the road, and really stretched out when the two front legs extended forward in the sprint. I still have the image in my head. I guess it could be something else, but it wasn’t a fox, wolf, or lynx. Checked with the Ontario Ministry, and mountain lions are listed as an endangered specie, so I submitted a sighting report. Wow, Gary! That is pretty cool. Let us know if you hear anything back from the MNR. Hope you made it home okay!